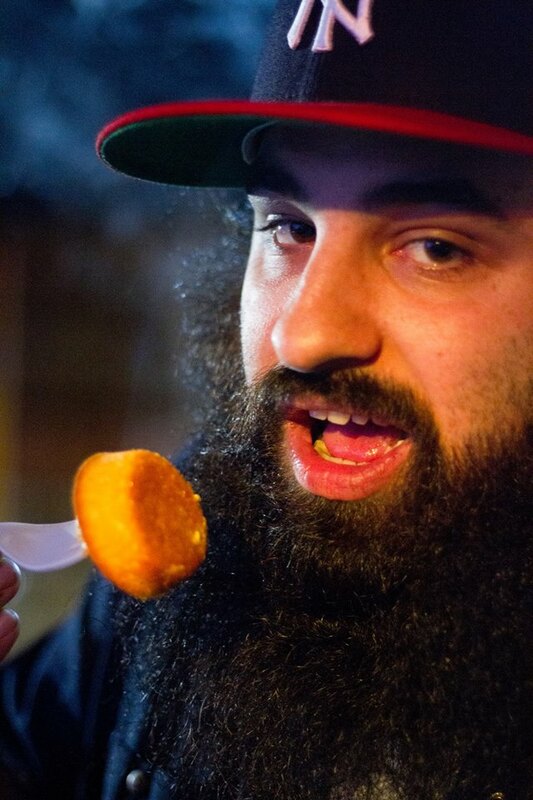 Devotees of Savannah’s hip hop scene will recognize this bearded emcee as Miggs Son, staple of rap collective Dope Sandwich, former member of musical jamboree Word Of Mouth, SCAD grad and accomplished visual artist. After releasing his first solo album, “Son Of A Gun,” this past summer, Miggs and Dope Sandwich founder Knife embarked on an epic tour of the eastern USA, and are planning another extensive road run for November. If that weren’t enough, Miggs has just released a new EP with F.E.B (Four Elements & Beyond), a 3-member NYC-based tribute to classic hip hop. Miggs and I sat down to discuss the new music. Garrett – So, Miggs, I’ve seen you performing around town with all kinds of groups – rock bands, psychedelic groups, hip hop acts, visual arts – but this is the first I’m hearing about F.E.B. MIGGS – F.E.B. stands for Four Elements & Beyond. The 3 main members are my brother, Freak Tha Monsta, Werd Life and myself. My brother makes the beats and we all rhyme. We grew up in NY and have a deep respect for the art of rapping and producing. You’ll notice in F.E.B. music that there’s a lot of attention to detail. MIGGS – I feel our sound truly captures the essence of NY hip-hop. The only difference between F.E.B. and myself as a solo artist is just that you get a lot more of a personal scope in my solo work. But it’s still very much a part of the whole. We enjoy that classic hip-hop group energy and all feed off each other’s skills. Garrett – That group energy definitely comes across on the recordings. It sounds like y’all have been doing this forever. MIGGS – We’ve been making music together for about 10 years. We were freestyling at age 10 or 11 and by the time we were 16 we began recording a bit. We’ve got TONS of material over the years, and projects include a few solo mixtapes from each of us, a Freak Tha Monsta EP, a Miggs LP, and a Freak Tha Monsta/Werd Life LP. 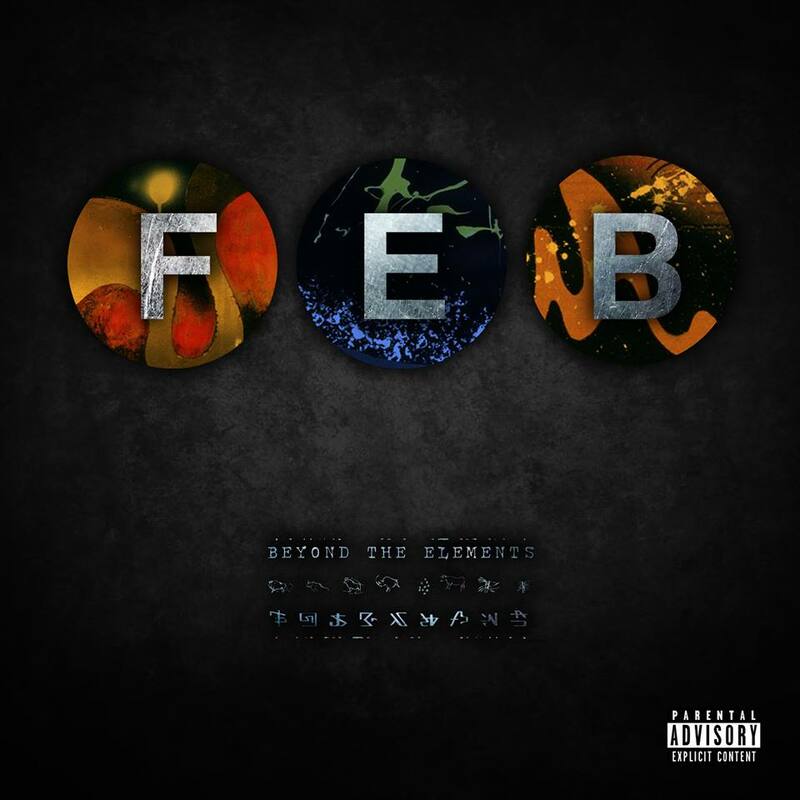 This project, ‘Beyond The Elements’ is a 6 track EP and it’s the first full group project to be released. Garrett – I really dig “Cold Blooded,” the EP’s lead single. You can smell the subway soot, very New York hip hop. MIGGS – It’s featured on the free Dope Sandwich mixtape ‘Behind Bars’ that’s available at the Dope Sandwich website. We also just dropped the music video alongside the release of the album. Garrett – So can we expect any F.E.B. performances in the near future? MIGGS – There’s a good chance we’ll all do a show sometime. Over the years I’ve had either Freak or Life come through separately and we always rock shows. The whole group did one show last year at the Summer Solstice Festival but we’re lookin’ forward to having the whole crew down here again! We also discussed the upcoming Dope Sandwich “Naked Lunch Tour” which kicks off next month. Until then, you can download the new F.E.B. EP here, and stay tuned in the next week for a full interview, on rye with mayo.